For users of LiveLink™ for Inventor®, COMSOL Multiphysics® version 5.2a makes it possible to connect to COMSOL Server™ from within Inventor®. It is now also easier to keep track of synchronized documents. Review all of the LiveLink™ for Inventor® updates in further detail below. When you have installed COMSOL® Client, a button will be made available for connecting to COMSOL Server™ from within Inventor®. 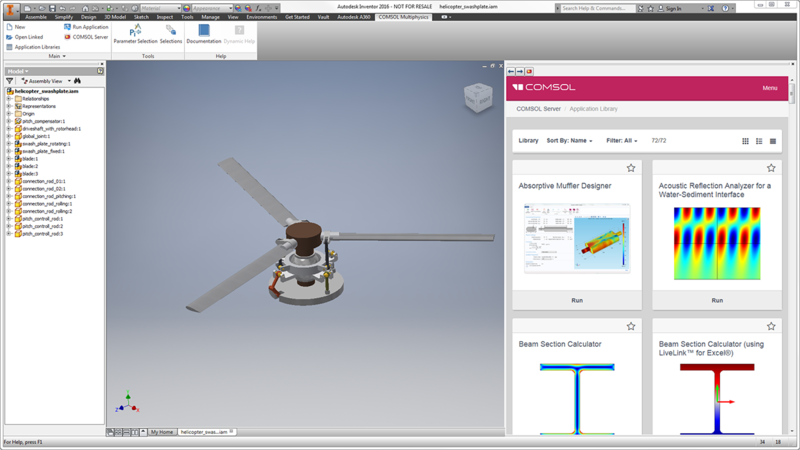 This means that you can browse and run apps from within the Inventor® interface, including those that use geometry synchronized with Inventor®. The COMSOL Multiphysics® ribbon tab in the Inventor® user interface as well as an embedded interface of COMSOL Server™. 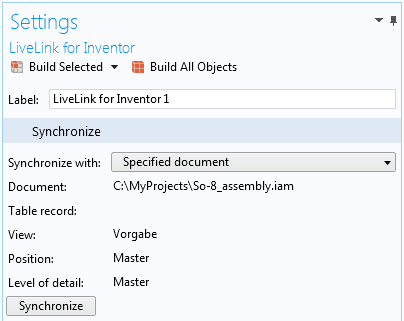 In order to prevent synchronization with an incorrect CAD document, the LiveLink™ for Inventor® interface now keeps track of the file name and path, as well as the table record, view, position, and level of detail representations of the synchronized Inventor® design. During the first synchronization, the file name is retrieved and documented. For subsequent synchronizations, the interface automatically selects the same file in the Inventor® software, as long as the file is open there, and switches to the previously synchronized state of the design.